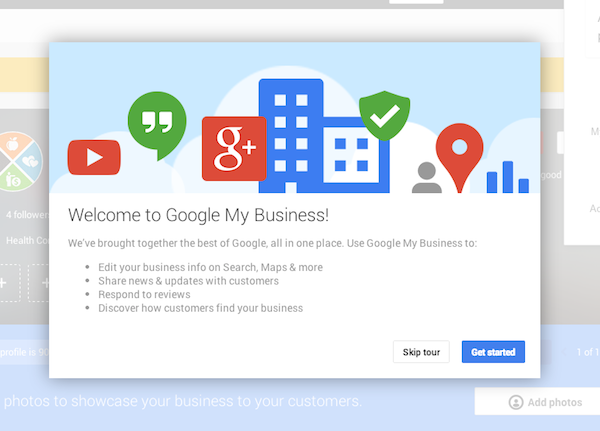 Recently, Adding to the Google Algorithm is created a popular platform called Google My Business. It is a one stop shop for all kinds of small businesses looking to improve their visibility within Google+, Google Maps and Google Search. With this platform, users can also access all the applications in one place. Most small business owners want to avoid the basic need to make duplicate entries while providing information across many different Google products. With this new platform, users only need to enter the information one time. This information can be accessed on all the Google’s services. According to industry experts, this offers ease of use, and rival Facebook, users can easily post events, news, photos and many other updates they want to share with customers. In the coming years, this platform will get increasingly popular. A better understanding of the platform will help you know everything about various updates. When you log into this platform, you are guided through a tour regarding new instructions and updates. You also get to know how you can interact with the platform. If you stay on the page, you will see a simple screen that provides you with some basic information appearing on Google+, Google Search and Google Places. It’s easy to update any information quickly, including your address, phone number, categories and URL. The real benefit you receive from the platform comes with the next few steps. With Google My Business, you can easily access all the following information or services from just one screen on your device. ● Google+ – It is easy to share new photos, text, videos, events and links. ● Insights – Once you have verified your business on the platform, you can easily gain insights into your engagement, audience and visibility. It is even very easy to verify your business on this exceptional platform. ● Reviews – Each small business organization gets a basic Google rating. Thus, you can easily manage all your reviews on Google. You can even view other business reviews across the world wide web. ● Google Analytics – The platform provides you with quick access directly to the Google Analytics Dashboard. ● Start a Hangout – You can easily join or start a hangout with just a click of a button. It is worth mentioning that Google has already launched this platform for its operating system, Android. It seems that the iOS version of the service will be available soon. The Android version has a very easy to use interface, and you would not experience any problems. It is important to understand that Google My Business is mostly meant for small business organizations. All the page owners have been automatically updated to the new view. According to industry experts, this will have a major impact on the company’s overall Google+ strategy. There is a lot of value in these exceptional tools. The service not only makes everything easier, convenient, but also makes sure you integrate all your Google services onto one platform. The platform even leads to more cost savings and helps you develop an effective business strategy.